The Copa del Rey semi-finals draw gave us a present with the FC Barcelona v Real Madrid clash. Both will fight for a spot in the final the next 25th of May at Benito Villamarín Stadium in Seville. Real Betis v Valencia is the other semi-final with the Andalusian team trying to fight to touch silverware in front of their supporters. 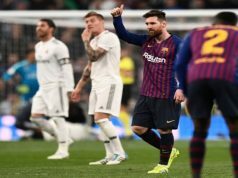 The first game will be held this Wednesday at Camp Nou whereas the second leg will be at the end of February, just three days before El Clásico in La Liga, both games to be played at Santiago Bernabéu stadium. 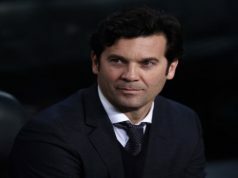 And only three days after, Solari’s team will face Ajax in the second leg of the Champions League Last 16 Round. Therefore, the season and the improvement of the team will be put at test in the next month. Real Madrid are confident that they can get over the situation. Los Blancos have improved a lot in the last weeks, beating Sevilla, Espanyol or Girona giving a good image and lead by Benzema or Modric, who are at their best. Besides, Solari has now Bale or Asensio available for these crucial games. FC Barcelona will be a very tough opponent. Leo Messi is shining in every single game, both assisting and scoring. 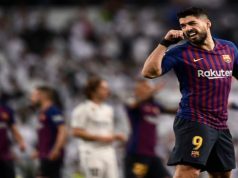 After the defeat at Sánchez Pizjuán (2-0) in the first leg of the Copa del Rey quarter-finals, Barcelona overcame the situation to thrash the fourth team of La Liga (6-1) at Camp Nou. Also Luis Suárez is at his best right now. However, Los Blancos have good memories of their clash in the Copa del Rey. The last two meetings were in the finals, both won by Real Madrid. The last one was in the Copa del Rey final in 2005, with the great goal scored by Gareth Bale with the longest run from his own pitch. The other one was with Mourinho on the bench, also in the final, with Cristiano Ronaldo’s header as a winner. What will happen this time?